Ever want to spend a night in a yurt? Now you can! Enjoy the comfort of a large domed tent with a locking door, lights, electrical outlets, heating, windows, skylight and wooden floors. It is a circular, Mongolian-style domed tent that is 20 feet in diameter. Our rustic yurt can sleep up to 8. 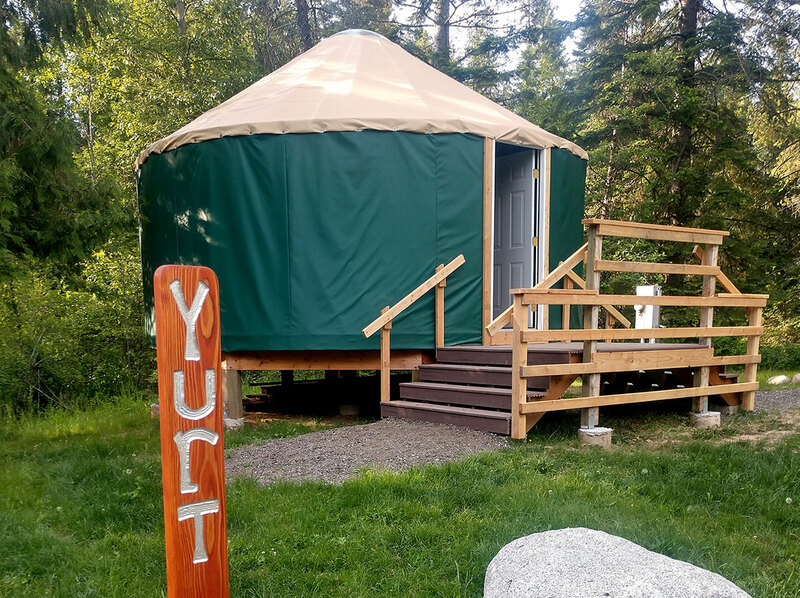 The yurt is fitted with a queen futon sleeper and 2 bunk beds with a double on the bottom and single on top as well as a dining table.